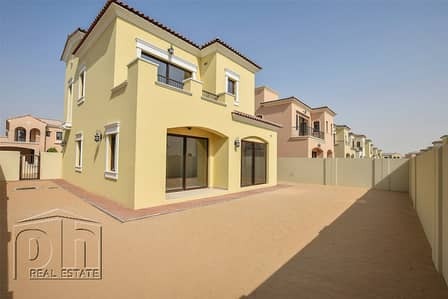 PH Real Estate are proud to offer this spacious Type 1 three bedroom plus maids villa to the market in Samara, Arabian Ranches 2. * Living and dining areas. * En-suite access to all bedrooms. * Maids room with en-suite shower room. The villa also benefits from a balcony off of the master bedroom, good size rear garden & covered parking for 2 cars. This property is a vacant, back to back type 1 and ready to move in, with keys in hand. Samara is a brand new community located in Arabian Ranches 2 off of Al Qudra Road and offering easy access to Emirates Road, Umm Sequim Street & the 311 Highway. Nord Anglia School, Al Safa Community School & JESS are all close by with further nursery schools to be found in Arabian Ranches 1 & 2.
for more information & to book a viewing.